I don't know where June went. I actually got most of my June blocks done weeks ago but have been so busy with lots of other things that now it is dawning on me I haven't shared all the progress on here. First up was my Quilt Doodle Doodle 2013 BOM block. I love how quickly I can whip these out and love how dramatic they look in my chosen colors. I did share this one and if you missed it you can find it here . You can also see the Lemoyne Star that I made for the Craftsy 2013 BOM quilt at the above link. 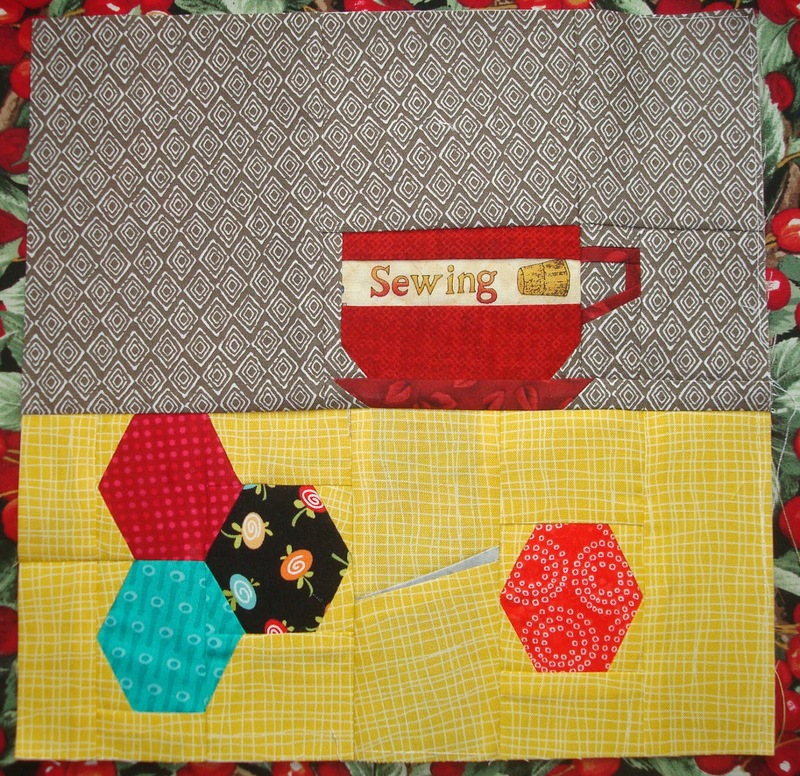 What I forgot to share was my Quiet Play And Sew On block --- A Stitch In Time. It turned out fabulous. I love what the colors I worked with did to the way they all look together so far. I really had trouble picking fabrics for this one. I actually decided instead of creating this block as a stand alone block like I usually do ... that I would instead throw all the previous blocks together on the floor and pick colors based on what was needed to complement the collection. Here is what I decided on. I have yet to take pictures of my Castle blocks. I got the three for June done and promise to share them soon. I can't wait for the July block for the Castles. You can find the past patterns for the Castle BOM at Ula Lenz's website. I love her sharing this project with us as it is going to be gorgeous when done. I would love to make ten more of these because each one is so different based on my fabric choices that it would be fun to make many more. I am crazy but probably not that crazy. Three different ones is ambitious enough for me right now. I love making each one a different theme and I could go on and on with more themes...Wouldn't it be great to have a Christmassy winter one??? Hmmm....Maybe next year. Love the fussy cutting on the coffee cup! Perfect!